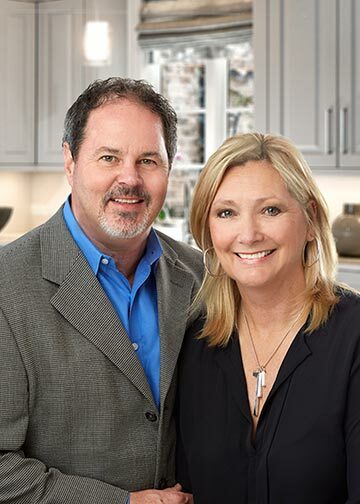 Paul and Sherry Zuch are our husband and wife team who along with the Capital Renovations Group associates handle all of our day to day company operations. They are backed by a team of architects, suppliers and designers. Paul Zuch began his construction career in 1983. With a strong work ethic and a passion for design and construction, he learned from seasoned carpenters and design professionals and rapidly advanced. In 1987, Paul joined a general contracting firm in Dallas as project superintendent. Over his 12 year tenure, he worked his way up to Vice President of the multi-million dollar company responsible for residential sales and production. He also became active in The National Association of the Remodeling Industry (NARI) in the mid 90’s and earned his Certified Remodeler (CR) designation. He later obtained his Certified Graduate Builder (CGB) with the National Association of Home Builders (NAHB). In 1999, with an eye for design, strong project management and a keen sense of customer experience, Paul Zuch founded Capital Renovations which emerged as one of the top home remodeling companies in the Dallas Metroplex winning multiple awards. Paul’s passion for his work and the remodeling industry as a whole is evidenced by his service to NARI (National Association for the Remodeling Industry). He served as President of the Dallas chapter and then as Regional Vice President, and progressed through the national officer positions including National President in 2011 and Chairman of the Board in 2012. Paul and Sherry are active members of Remodeler’s Advantage, a national roundtable group where some of the best remodelers in the nation work together throughout the year to share best practices, ideas and insights for running a top-notch remodeling firm. Community service has always been a delight for Paul and Sherry. They have volunteered their time to Rebuilding Together, Hearts for Hammers, SPCA of Texas, Collin County Children’s Advocacy Center and other local non-profit organizations serving the communities where they work. With 20+ years of sales experience, Sherry joined the company as Vice President/Co-Owner in 2013. Sherry’s primary role within the company is business development and marketing. Using a team sales approach, she provides the woman’s prospective by helping clients successfully navigate complex remodeling projects. Sherry’s expertise comes from her extensive knowledge and experience working in the home improvement and luxury lifestyle publishing industry. Paul and Sherry live in McKinney with their three yellow labs. They have 2 beautiful daughters and a grandson. They enjoy travel, arts, architecture, music, food, wine and the outdoors. 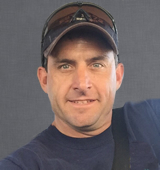 Todd has 15 years of experience in the residential construction industry. He began his career in woodworking and has a vast understanding and passion for remodeling. In his role as Project Manager at Capital Renovations Group, Todd utilizes his advertising and communication design degree. The end result is a design-driven innovation that strategically impacts every project. Todd has the ability to anticipate issues before they occur and take proactive measures to manage them.